Would you like to have a career in Public Relation? This can be a suitable profession for you if you are great at multitasking, a creative thinker, and an excellent communicator. However, you are not alone. The competition for PR jobs is fierce, especially in the graduate market. Getting your first foot on the career ladder can be an overwhelming task. Signing up for PR courses in Dubai can help you land a job in this competitive industry. Here, PR pros share other tips on how you can stand out from the competition. Public Relation is all about pitching and finding the most relevant information, and then turning it into a compelling story that will fit the outlet. You might not have the longest list of contracts or the most experience, but inform the employer what you can bring to the table and why you are a great fit. 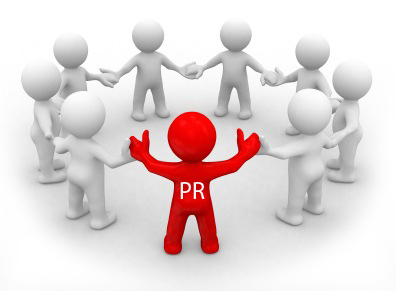 Some of the key attributes of successful PR professionals are excellent communication skills and self-confidence. Prove your worth in the industry by perfecting your own brand. For instance, you must be confident in your knowledge and skills, be bold with your CV and resume, and make sure that people know who you really are. Although an online presence is essential, don’t underestimate your offline activity. So make sure to consider applying for event jobs and attend relevant talks – you may meet that important contact for PR through these event gatherings. A degree can help you stand out. But aside from that, most employers today are also looking into the job applicant’s on the job training, work experience, and transferable skills learned in other industries. Admin skills, for instance, are transferable to junior positions. Aside from gaining vital experience, internships are crucial to getting your foot in the door of a PR company. PR has plenty of different avenues, from in-house jobs at huge corporations to cutting-edge consumer agencies. This is an industry wherein a single approach doesn’t cut it. So always customize your applications to your prospective employer. You must know who their clients are and how they work. From there, determine how you can be a great fit for their company. Related: How do you research companies you want to work for? It is imperative that you research the area you wish to enter into the PR industry because each will vary in terms of your daily workload and future career opportunities. Look into your strengths, areas of expertise, and skills when choosing which area to pursue. A good understanding of media channels, both offline and online, is vitally important because there you’ll find the people you will be pitching your ideas and stories to. You need to know what works well for various media organizations. Moreover, an understanding of the media landscape is also crucial for job interviews. So always be hungry for information and be aware of the current events by reading the news. Some employers ask what newspapers you like or what are the things that struck you from the recent news agenda. The core of public relations is building meaningful relationships. Social media is a great way for you to network and connect with PR pros around the world. But do not limit your search within your state; go global. Most importantly, always be yourself and don’t pretend to be someone else. Connecting with Public Relation professionals you like to learn from and work with is among the crucial steps to getting your foot in the public relation industry. Aside from building relationships, writing is also within the core of the public relations profession. You need to learn how to get your point across concisely and quickly. You must be capable of writing for various audiences, taking into account the appropriate tones, mediums, and messaging. Being imaginative is crucial in this industry. Most importantly, you need to be able to persuade people to do what you want them to. Landing a job in the PR industry is hard work. You need to put in a significant amount of time and effort, but it’s also rewarding. You won’t just get the job you want; you will also grow in the process, learn a lot, and become a better version of yourself. Nowshir Engineer is the founder of EMDI and spends much of his time traveling across all of EMDI’s branches in India, Dubai and Africa. He calls Dubai his home and has painstakingly grown EMDI from a small Institute to a global conglomerate, now partnered with Greycells Education.